As your excitement has been building to buy a home, you probably heard about some positive economic news that is causing mortgage interest rates to rise. So, how can you get a great deal on an affordable home loan? Perennial Funding provides details about exceptional lending services that are used to help its clients secure some of the best local mortgage rates. Current mortgage rates are reaching a peak that exceeds the best available rates for the past five years. 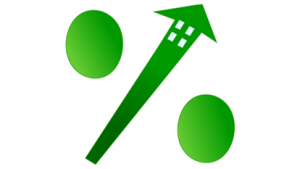 For the remainder of this year, the rising rate environment is projected to trend upwards from today’s mortgage pricing. As more people find well-paying jobs and unemployment levels continue to shrink, the Federal Reserve is likely to make modest rate increases to help contain inflationary pressures. Quality funding services will vary among lenders. While every residential mortgage lender is required to hold a license from their respective state, you may discover that all lenders are not created equal. Our commitment to every applicant who is seeking a mortgage loan is to obtain favorable financing terms. When interest rates are rising, it is important to find a mortgage lender who knows how to expedite the process from inception to funding. With a thorough review of your qualifying documents and a loan application that is completely filled out, our processing team will expedite your loan file in a timely manner. Having an in-house team of underwriters and processing professionals is essential to our ability to fund mortgage loans quickly. Therefore, when mortgage rates are rising, we can clear closing conditions for many home buyers who need fast funding solutions. During periods of market uncertainty, you may feel more comfortable with an interest rate lock. For home buyers who obtain a mortgage loan for $250,000 at 4.50 percent, a quarter-point rate increase would amount to an additional $37 per month on a 30-year fixed-rate mortgage loan. The increase could also cost you more than $13,400 over the life of the loan. Contact Perennial Funding today to apply for a home loan while interest rates are still attractive.